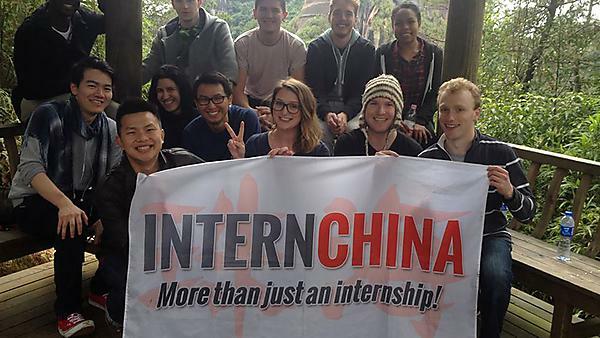 Paul Bailey moved to China to work for an Australian company before finding his current job as Office Manager for InternChina in Zhuhai, Guangdong. After graduation I found a great position as a Business Analyst within the finance industry and worked there for three years in Jersey. (This was before I decided to go travelling for a year with my now fiancée). Following this we wanted a new experience so we decided to teach English in China for a year, like a gap year experience but getting paid. After a year I moved into an Australian purchasing company as Operations Manager before being offered the position with InternChina. Sometimes it can be difficult to make decisions to ‘stick’ and work on what you have or to ‘twist’ and go for a new direction which is what I did most recently. You can invest a lot of your time and energy into positions and this can make it more difficult to leave. In my current role I work with students and I get to take them on a lot of trips and take part in lots of cultural activities. Most weeks, we are doing something new, interesting, and fun. For anybody who is interested in going into HR or internships I would suggest a positive and patient approach. Working with people can be a challenge; it seems that there are always people who will try to make your life difficult, but it’s how you react to the situation that matters. Plymouth is a big university and, having personally come from a small island where my friend group was quite close, as we had grown up together, it taught me to get out of my comfort zone and meet new people. I would recommend undertaking a course at Plymouth University because it’s a great place to study with some good facilities and plenty of opportunities. It’s not too small and it’s not too big. Plymouth is a town with a lot of different things to do and lots of places to go out. I would like to suggest that students make the most of their studies and that they shouldn’t be afraid to work with their lecturers and ask them questions. Get involved with societies and the social side of things, but don't forget to engage with your tutors and enjoy what you are studying. For more information about our range of international relations courses within the School of Law, Criminology and Government, please visit the school page.